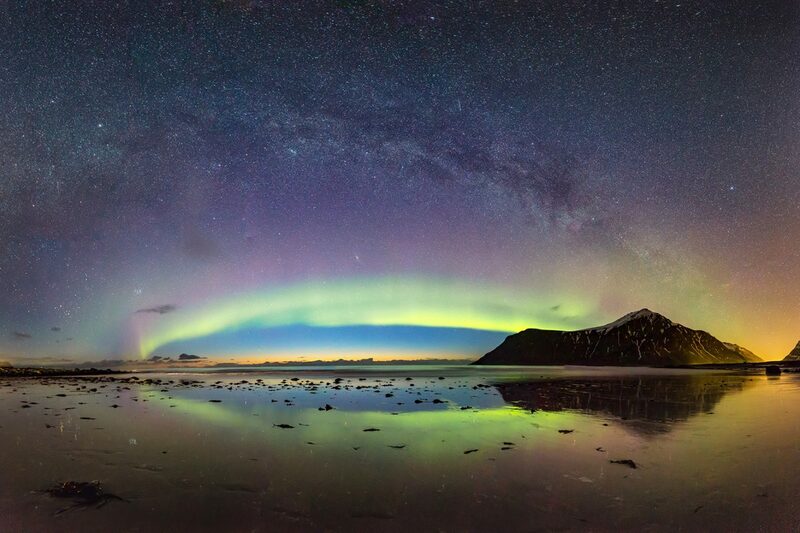 The Northern Lights are not out of the ordinary in this image but the Milky Way is. At least for the latitude of Lofoten. In the centre of the image, just above the Auroral band, the white blob is the Great Andromeda Galaxy. To the left, again close to the Aurora, we have the Pleiades, the most famous open cluster in the sky, also known as The Seven Sisters. Above the mountain, the faint pinkish patch is The North America nebula. The horizon is still bathed in sunset colours even though it was midnight.